Security is an important element for all of us – whether you are looking to secure your home or business, reliability is key. When it comes to home security and perimeter security in general, and we pride ourselves on providing high-quality materials, so that you don’t have to worry about maintenance later on. 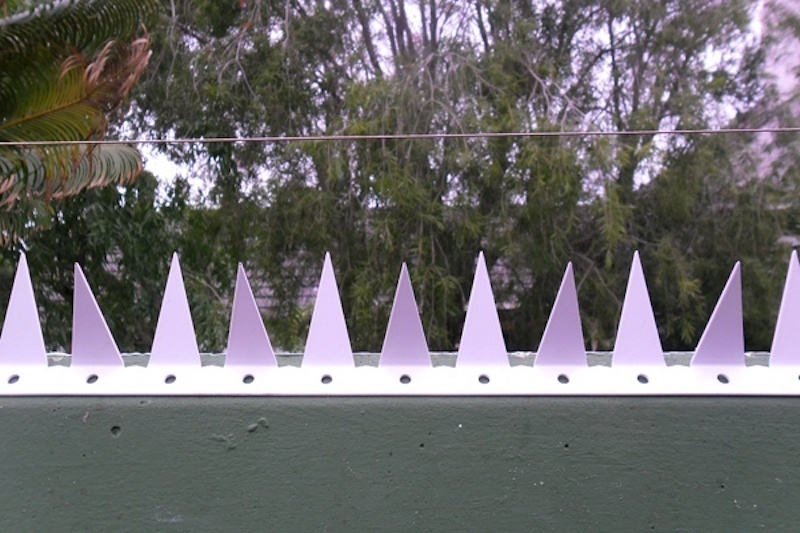 Easy to install and made from durable, fully galvanized steel, wall spikes are a simple yet effective method of securing your perimeter against intruders. It is common for intruders to take advantage of poorly maintained walls, or walls that appear ineffective. 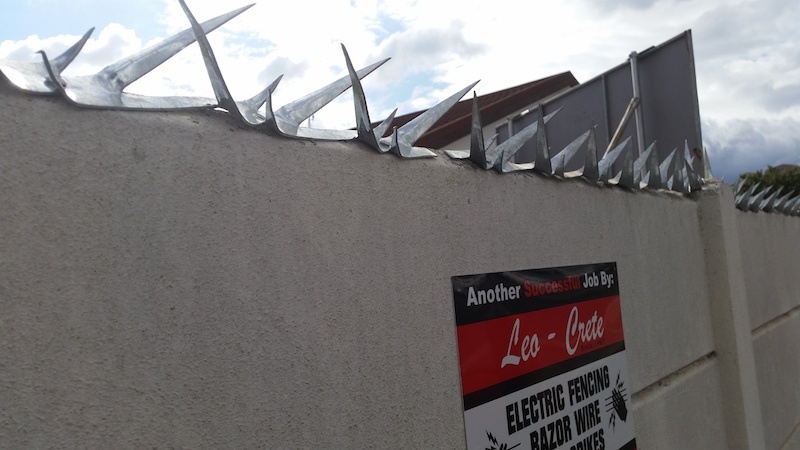 Wall spikes, however, prevent opportunistic criminals from gaining quick access to your premises – they are a highly effective deterrent because they are very difficult to climb over. 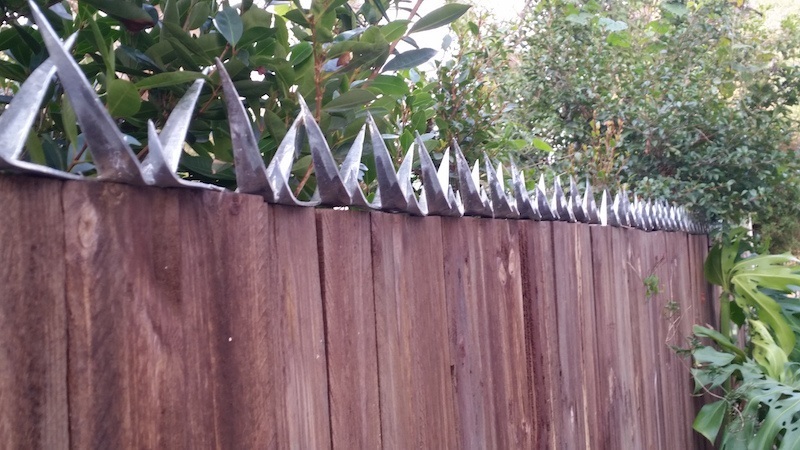 It is also clear from looking at properly installed wall spikes that an intruder will risk serious injury if they attempt to enter the property illegally. We install wall spikes by drilling a 5mm or 6mm hole and hammering a 5mm or 6mm nail-in anchor through the base of the spike and into the wall. This ensures a steady, reliable fixture. 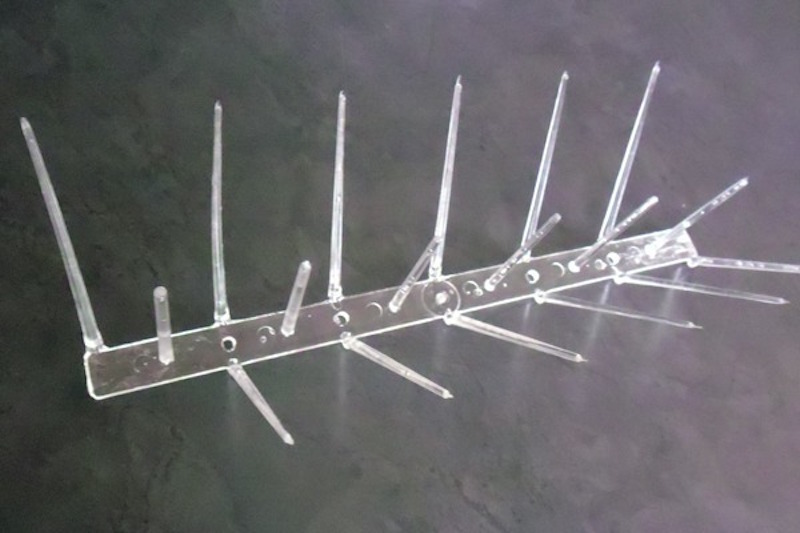 We provide a range of around 10 different styles of spikes to suit your preference and specific needs. They also come in a range of finishes and coatings. 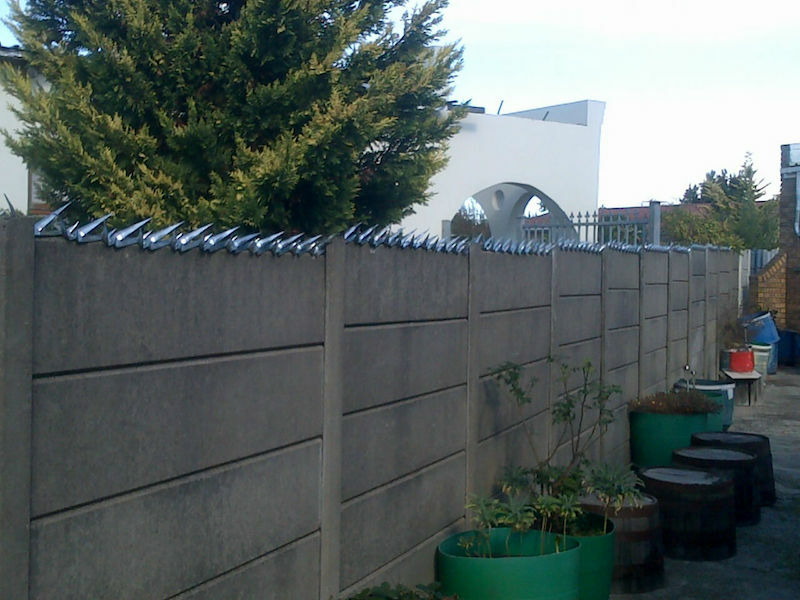 If you are looking to secure your home, for example, you may prefer wall spikes that are more attractive or camouflaged than traditional razor wire. Our team is happy to help you choose a style that best suits your requirements. 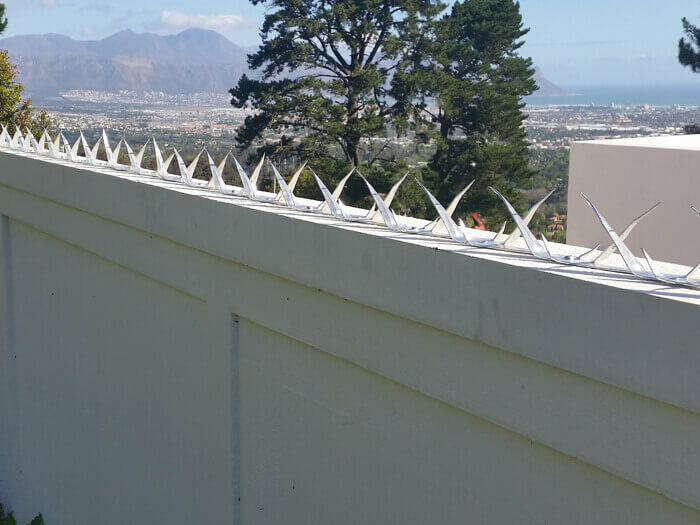 Wall spikes provide security for residential, commercial, industrial and corporate perimeter walls and fences and can also be installed onto gates, palisade fencing, and wooden fences. If you’re not sure if wall spikes will suit your specific space, please don’t hesitate to contact us for advice and more installation details.